In my home, we love apple pie! It is so inviting with the wonderful smells while baking! Enjoying it warm from the oven uplifts the taste buds! I make apple pie a few times a year. 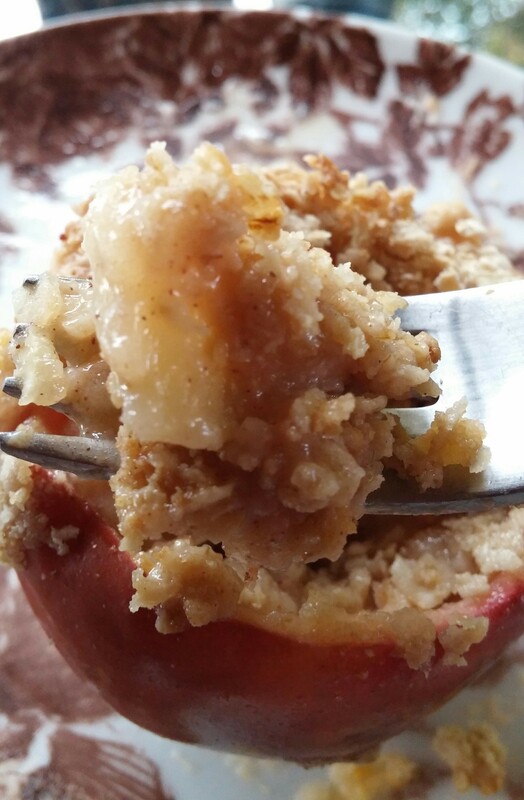 When I saw this recipe for a baked apple from Weight Watchers, I had to try it! Since I can’t enjoy pie crust anymore, I decided this would be delicious with a crumb topping! My daughter and I made these one night right before dinner. 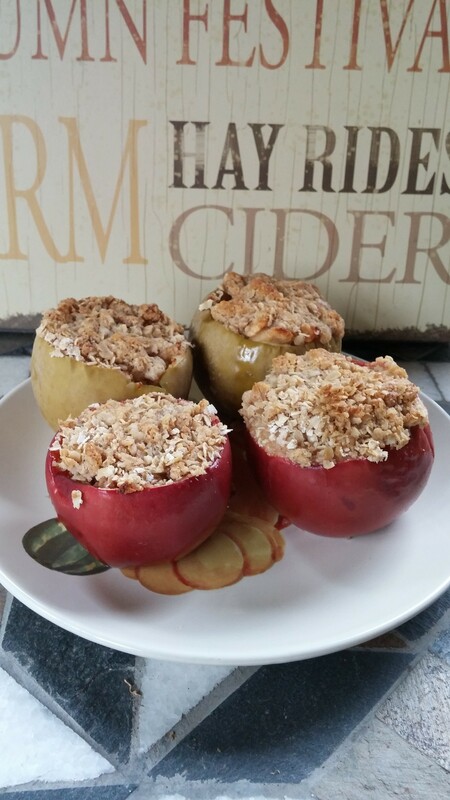 While we ate dinner, the apples baked and were ready when dinner was over. Such a yummy and healthy dessert! If you love apple pie as much as we do, you MUST try this! ENJOY! 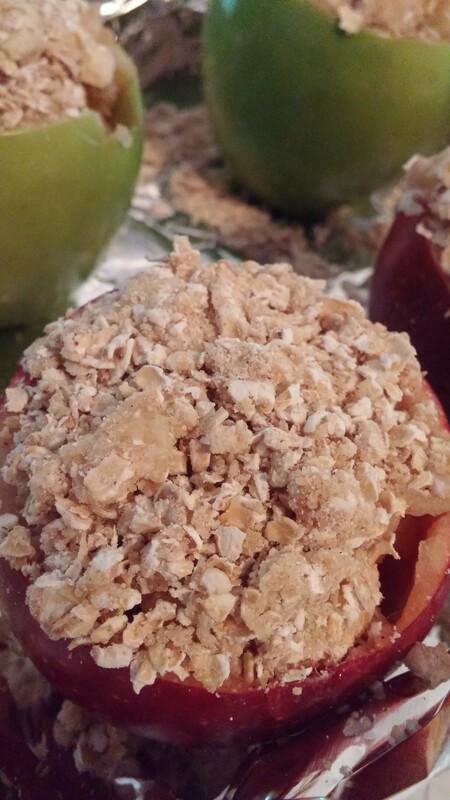 Crumb Topped ApplesFor the topping: Mix 1 cup quick oats, 1/2 cup oat flour, 1/4 cup brown sugar and 4 TBSP butter. until crumbly. Wash the apples and cut the tops off. 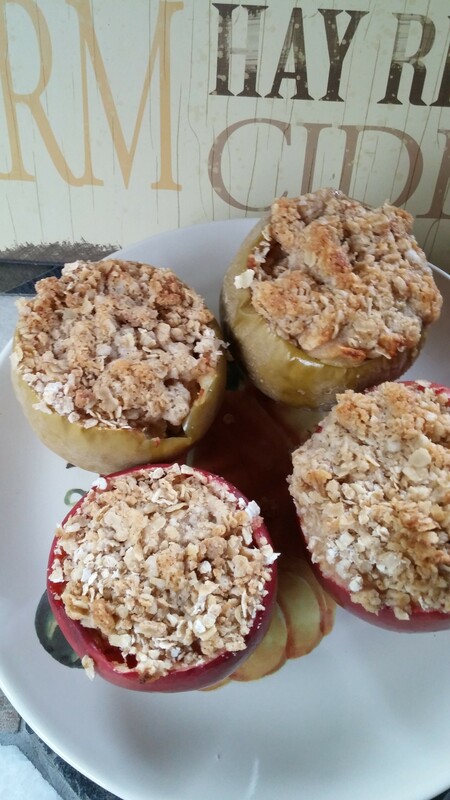 With a spoon, carve out the core of the apple and discard. 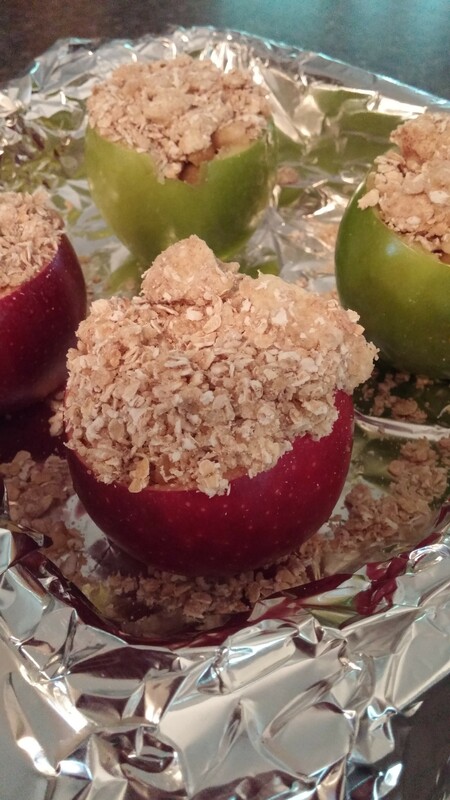 Continue using the spoons to carve your apple and place the pieces of apple in a bowl. (you may find a knife works best, I used both) To the bowl add: 1 TBSP lemon juice, 1 TBSP sugar, 1/2 TBSP oat flour, 1/4 tsp cinnamon, and a sprinkle of nutmeg. Distribute the apple filling back into the apples. 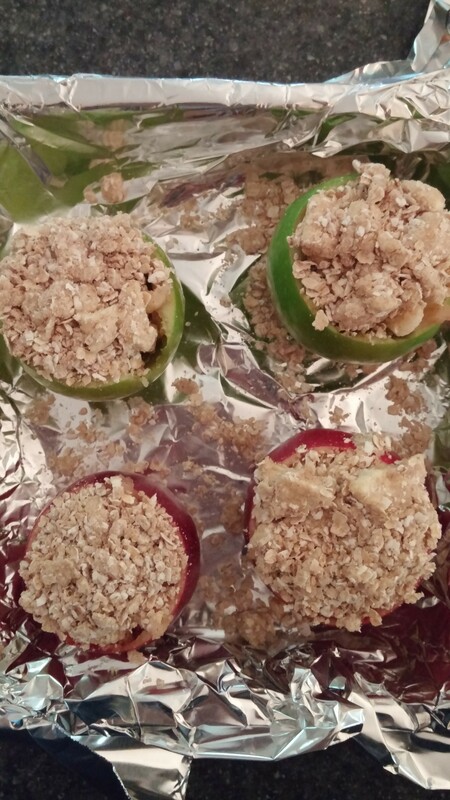 Place your topping over the apples and push down slightly. 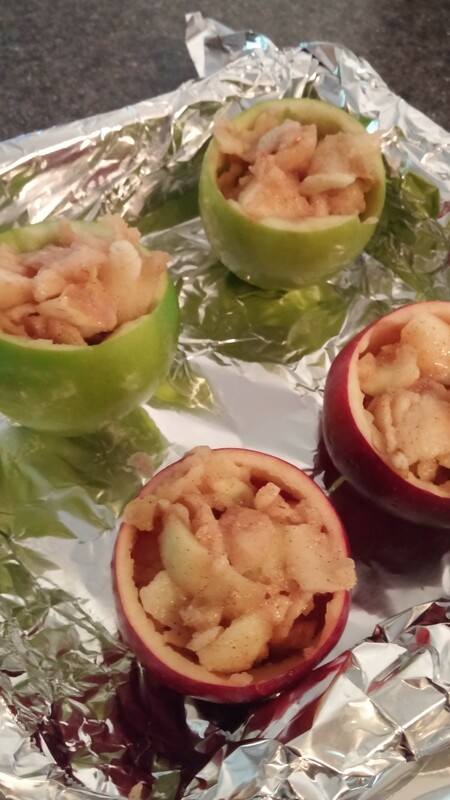 Place the apples in a foil lined baking dish. Bake at 370 degrees for 30 minutes. Serve warm!